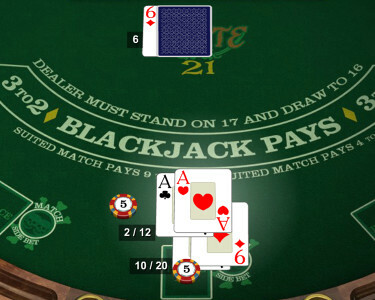 Pirate 21 can be described as Spanish 21 blackjack variant with a twist – in this version, the dealer stands on 17, and the players are not able to insurance against the dealer’s Blackjack, or surrender. The variations of the game can be found in both online and land-based casinos, under the name Spanish Blackjack or even Pontoon (in Malaysia and Australia). The name Pirate 21 however, is not the only difference between the standard and Pirate 21 (or Spanish) Blackjack; the removal of the tens from the card decks is the most notable characteristic of the game, increasing the house edge by 2%. There are a lot of different places to play Pirate 21, or Spanish 21. This is what it looks like if you go play it at BigSpin Casino. Pirate 21 being played at Cloudbet. Got my Aces and split them, could keep doing so if I wanted to. 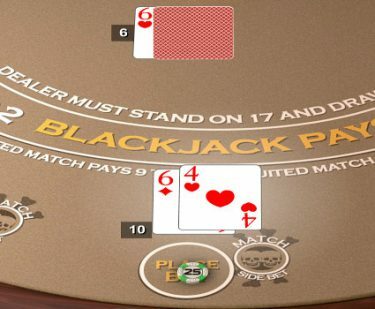 The main objective of Pirate 21 is to get as close as possible to 21 without busting – just like in any other Blackjack variation. With the 10s removed, the game actually works in favor of the dealer, although there are certain rules that re-establish the balance. For starters, the player’s Blackjack will always win. 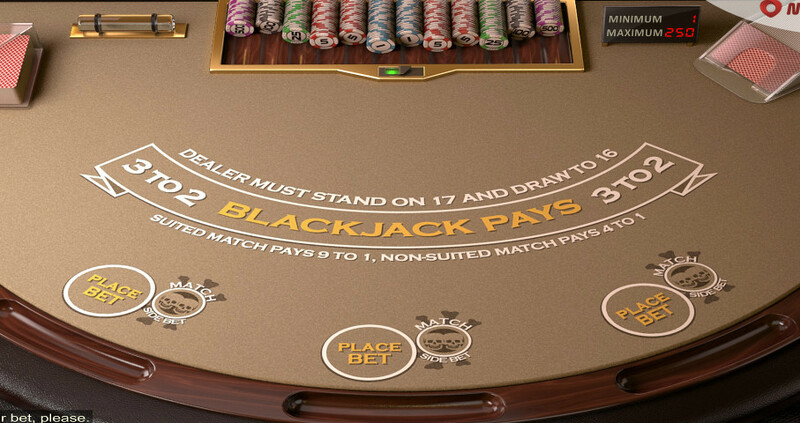 Unlike some Blackjack variants where the dealer’s and player’s Blackjack hands will be considered a push, Pirate 21 favors the player in this case. Players are permitted to re-split the aces – traditionally, aces cannot be re-split and the player will only be able to draw one card per each of the two aces. Players may continue to hit and double down after splitting a pair of aces – in most cases, players cannot double under the circumstances, but Pirate 21 is clearly much more liberal. The insurance is not offered, and the dealer must stand on hard 17, hit on soft 17 and draw on 16. *The suited 7-7-7 when the dealer has a 7 up pays $1000 for bets of $5-$24 and $5000 for any bets over $25. This rule will not apply after splitting. Our favorite places to play Pirate 21? BigSpin Casino, BetOnline.ag, and Cloudbet. Keep in mind, Cloudbet does not accept US players, but you can find a big ol’ list of Online Casinos that do, right here! Pirate 21 also introduces a side wager called Match the Dealer side bet. The bet wins if one or both of the player’s initial two cards match the dealer’s up card. The suited match pays 9:1 while the non-suited combinations produce a somewhat lower payout of 4:1. In case of a double match, the higher payout rate will be applied. Check out my side bets. I had wagered 5 bucks on each of these. Since I suit matched on the left, I won 9:1. On the right I still won, but since they weren’t suited I only got paid 4:1. These aren’t bad bets, but because they’re so rare, you’ll want to be mindful of your bankroll! You’re dang right I want to double. Pirate 21 does take a little getting used to, with the 10’s being removed. However, once you get used to the idea that some cards are in fact missing and you get your strategy down, it can be one of the more exciting games being played at any casino, be it Online or brick and mortar. Always remember that strategy plays a role in any wagering game. Take this guide as your learning point! Remember these strategies right here and you should be ready to become a Pirate yourself! Some More “How-To’s” Right Here!